Thousands of people learn to dive all over the world every day so why not you? But be warned, it’s addictive and once you try it you won’t want to stop. Here at Anchor Diving we have two options to get you started and before you know it you will be breathing underwater and swimming with the fish in a world till now you have probably only dreamed about. 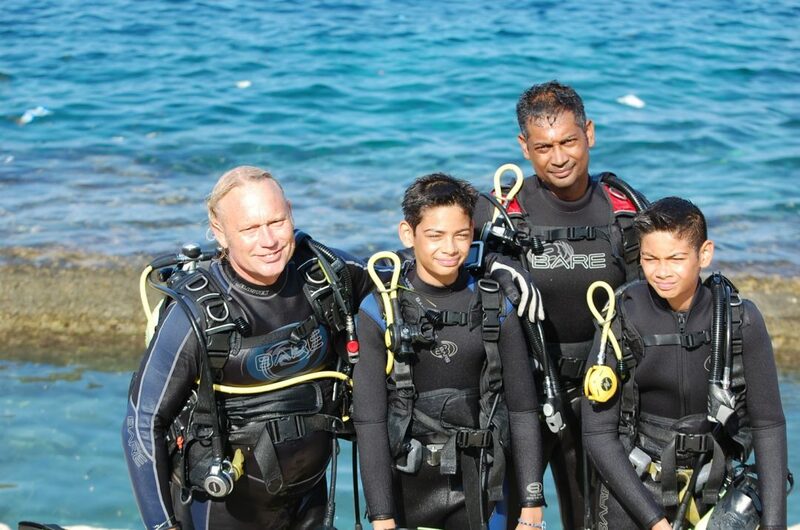 We have a team of highly qualified PADI Instructors (Professional Association of Diving Instructors) ready to ensure your first breaths underwater are conducted in a safe and enjoyable manner. Having fun is what it’s all about, however, your safety always comes first with us. Malta is the perfect destination for your first try and there are suitable sites all over the island. We will always take you to the best sites available on the day to ensure you have the most awesome dive possible. 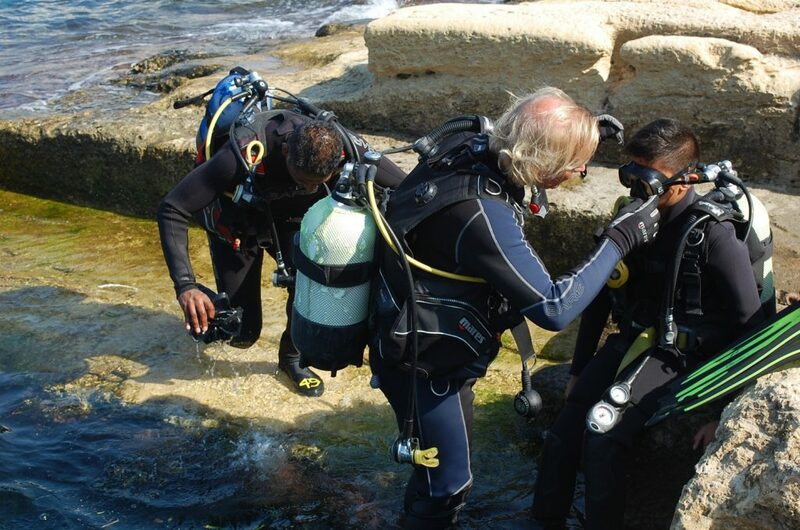 This is just as it sounds, it’s a Try and you will use all the equipment that you would use as a qualified diver. Try Dives take just a half day, morning or afternoon and we run these every day of the week. If you’ve always fancied scuba diving, or only just thought about it, it’s a great way to find out if it’s for you. Our Try Dives are really popular if you are short on time and just want to have a go. However, if you are thinking you may like to continue and become a qualified diver we highly recommend you take the PADI Discover Scuba Diving option. This is similar to a try dive, yes it’s still a first time dive suitable for complete beginners but with a few differences. Mainly it’s the first module of the PADI Open Water Diver Course, the most popular diving course in the world. 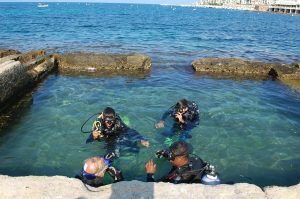 Once completed you receive credit towards your next step and if you don’t have time for the next step now you can join in on some more dives with us to a depth of 12m. Unlike a Try Dive, on the Discover Scuba Diving program you have two sessions in the water and learn some of the skills that you will use as a qualified diver. This allows us to take you a little deeper on the second dive, 12m to be exact providing conditions are suitable and we fell you are confident enough. At Anchor diving we want to make things a simple as possible for our divers, yes that’s right, if you book with us, you are a diver, even if it’s your first time! We will collect you from your hotel and arrange pickups in the St Paul’s Bay, Bugibba, Qawra, St Julians, and Sliema areas, actually most of Malta and this is included in the price. Once you arrive at the dive centre you will be greeted with a friendly smile and offered a cup of tea or coffee to drink whilst you complete some paperwork. The paperwork is very simple and will ask you a few questions regarding your medical history, this is for your safety, you can see the paperwork HERE so you have a chance to read it before you arrive. 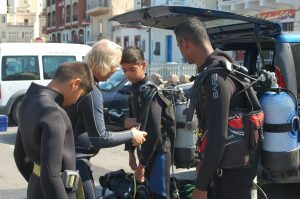 Next it’s time to get kitted up, diving equipment is really cool and at Anchor Diving we use the best equipment available. You will have a wet suit, mask, snorkel, boots, fins, BCD (this holds everything together and helps you float at the surface) Regulator (this is what you breath with) weight belt and a Dive Cylinder with enough air to last for up to an hour underwater and a reserve. We will ensure that everything fits you correctly and is working properly. We load up all the kit in a van and off we go to the dive site. In Malta we are lucky as we can dive some great sites from the shore, we just check which way the wind is blowing and choose a site that is really calm for your first dive. You will be in a small group, maximum of 4 divers to one instructor, but often there will only be two of you. 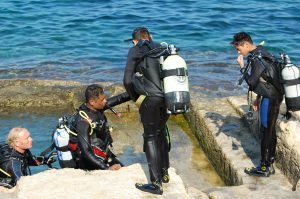 Once at the dive site your instructor will check the conditions and if everything looks good and safe you will start your session. Your instructor will show you how everything goes together and check once more that it’s all working properly. You will have a complete briefing on what you need to do, how everything works and what you will see when you are down there. Now it’s time to get wet, you start in water that you can stand in and have a practice at breathing and get comfortable with the equipment. You will not be rushed, we never over book so you’re Instructor will have plenty of time to help you feel comfortable. When you feel ready you will go for the dive, there will be a few simple skills you will practice underwater but the majority of the time you will be swimming around underwater. There will be lots to see, fish, star fish, hermit crabs, plant life and even octopus if you are lucky. Your dive will be anything from 20 to 45 minutes, this depends on how you get on and how quickly you breathe. Don’t worry if you breathe quickly, your instructor will be checking your air all the way, and we all breathed quickly to start with. When it’s time to finish, ok, you won’t want it to finish but we can’t stay down for ever. You will have help putting all the kit away then it’s back to the centre to wash the kit and log your very first dive, oh and sign up for the Open Water Diver Course. Once everything is done we will take you back to your hotel. All of the team here at Anchor Diving love to dive, teach and hope to blow some bubbles with you soon.